Top lines of golfing gear. Great Gifts. 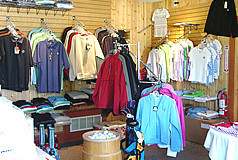 The Pro Shop is open to the public, seven days a week. Our full service Pro Shop is conveniently located directly behind the First Tee. Treat yourself to new grips! Get that NEW CLUB FEEL for a fraction of the cost. Stop by and check out our great selection of grips from Winn, Golf Pride and Lamkin. We feature full lines of golf clothing, golf clubs, golf balls, and golf accessories from top name brands including Nike Golf, Titleist, Ping, Callaway Golf and Antigua. All items from these companies are either in stock or a quick and convenient special order away. We also offer golf club re-gripping with Golf Pride and Winn Grips. Come in or call today and check out our low prices. 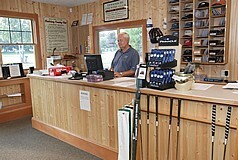 At Tewksbury Country Club we are always willing to match or beat the prices offered by other pro shops.